Back in February, the Greater Vancouver Zoo gained a new family member: Rocket, a male cougar cub. As you may know from our previous post, the cub was found alone near Williams Lake in dire condition. His mom had been hit by a car, and conservation officers feared he would not survive in the wild on his own. During his recovery, the decision was made to bring him to the Zoo - giving him another shot at a long healthy life. Though he was alone at first, we are happy to announce that is no longer the case. Since early March, this lone cub has had litter mate to spend his time with at the Greater Vancouver Zoo! Our newest cub came from similar beginnings where she was also found after being struck by a vehicle. Like our previous cub, the initial prognosis wasn’t good. The cub was found on the morning of February 7th after a concerned citizen discovered her on the Hoodoo Recreation Trail parking area. She had serious head and eye trauma but with the wonderful care from the Vet Clinic Team at the Invermere Veterinary Hospital, our new little kitten made a full recovery. Although cougars cannot roar, this kitty sure can purr! Her fearless and kind nature brought her lots of visitors. She was lucky enough to be given two names by local First Nations Chiefs! “Hoodoo swa” from Chief Alfred Joseph of the Ktunaxa First Nation from the Akisq’nuk Band and “smu’we7” from Chief Barb Cote of the Shuswap Nation. Both beautiful names containing cougar in their respective languages. Under the care of the Invermere Veterinary Hospital and the Conservation Officer Service (COS), the juvenile cougar made a full recovery. The Vets hoped to reunite the kitten with its mother but the short time window passed and her young age meant she would likely perish in the wild if she were to be released on her own. The hospital’s vets then made the decision to find this cub a new home, and this is how the Greater Vancouver Zoo came to care for two young cougars! We share the environment with wildlife and it is important for us to reduce conflict caused by our co-habitation – such as with cougars. There are no rescue protocols in place for these large cats and for most conservation cases like this, if these wild animals cannot be placed in captivity, the alternative is euthanization. Public education about wildlife and awareness around conservation work is important so that more endangered species can continue to thrive in the wild. This is what we hope to provide these cubs – an environment to thrive! So far, it has been amazing to watch the two cubs get closer to each other. The public perception is that animals cannot be alone in captivity, but cougars like most cats are solitary creatures by nature. Adults in the wild only come together to mate, and cubs can remain with their mother for up to two years. We are excited to see that the two cubs have bonded to each other! The Zoo is happy to give these cougars a home, and we are proud to do our part in caring for all animals. It is thanks to the Vet Team and the COs these cougars made such speedy recovery, and the Zoo is grateful to work with amazing and dedicated conservation workers. To see these cats in person, be sure to come by the Cougar Enclosure in the North American Wilds section, open to the public from June 21st, and learn more about their fascinating story from our staff and volunteers. Meet our new cougar cubs and win a chance at $100 CASH! CAD $100 is given to the best photo chosen. 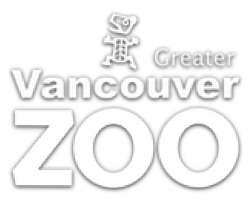 Photo must show that it was taken at the Greater Vancouver Zoo. To claim the prize, GVZoo must be able to reach out to participant via their social media account. In order to receive the prize, winners must be willing to have their photo taken at the Zoo front gate for the purpose of sharing on social media. If there’s no entries for the week, prize will roll over to the next week. Winner agrees that photos and all rights to images submitted should belong to GVZoo for use in promotions. Maximum rolled over is CAD$100.